As the new bipartisan "Super Committee" considers ways to tackle the federal budget deficit, a major franchise group is concerned that certain measures may hurt franchise operators who file taxes as individuals. The International Franchise Association expressed its apprehensions in a letter this week to the congressional Joint Select Committee on Deficit Reduction -- the new panel charged with finding $1.5 trillion in savings over a decade through government spending cuts or tax revenue. The IFA is concerned that potential corporate tax reforms "will result in significant tax increases" on IFA members filing tax returns as individuals, the group's president and chief executive, Stephen Caldeira, wrote in the letter, also sent to members of the House Ways & Means and Senate Finance committees. "Uncertainty by small-business owners does not lend itself to job creation and future investment. Franchise business owners will not expand to new locations or hire new workers until they have certainty regarding the future of tax rates," he said. 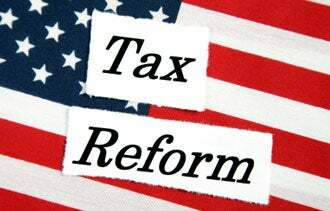 As the committee debates reforms, he said, it's "essential that corporate tax revisions not be enacted that would impede or stifle small-business growth, especially given that many of our county's small businesses file taxes as individuals." Caldeira said it's unclear now whether potential tax changes would encompass both individuals and corporations. If most or all business deductions are eliminated to lower the corporate tax rate, then "pass-through" taxpayers -- those reporting the income or loss from small businesses or partnerships on their individual tax returns -- "will be exposed to significantly higher taxes without the benefit of a lower rate." "In fact, many franchisees could find that their taxes will increase by losing these deductions," Caldeira said. The committee, created by the Budget Control Act of 2011, must issue a formal recommendation on how to cut the U.S. budget deficit by at least $1.5 trillion over the next ten years. Congress will give the committee's recommendation an up or down vote by Dec. 23.The panel is composed of six Republicans and six Democrats, with three members of each party from each chamber.